Magnus Chase has always been a troubled kid. Since his mother's mysterious death, he's lived alone on the streets of Boston, surviving by his wits, keeping one step ahead of the police and the truant officers. One day, he's tracked down by an uncle he barely knows—a man his mother claimed was dangerous. Uncle Randolph tells him an impossible secret: Magnus is the son of a Norse god. The Viking myths are true. The gods of Asgard are preparing for war. Trolls, giants and worse monsters are stirring for doomsday. To prevent Ragnarok, Magnus must search the Nine Worlds for a weapon that has been lost for thousands of years. When an attack by fire giants forces him to choose between his own safety and the lives of hundreds of innocents, Magnus makes a fatal decision. Sometimes, the only way to start a new life is to die . 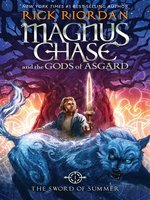 . .
ilyaz - Magnus Chase and the Gods of Asgard Book 1: The Sword of Summer is a thrilling and enticing book right from the get go. Rick Riordran drives through this fantasy book with all it action backed twists and turns right until the last page. This book has lots of great things about it so I would give it four stars. The books sets off in Boston with Magnus Chase. Magnus had just been orphaned and is on the streets of the city. On his sixteenth birthday, and I do realize that is very cliché, everything goes nuts. Magnus' uncle, Randolph, who had not seen Magnus in over two years, is franticly looking for him. A fire giant attacks and Magnus is slain. At first he gets used to life in Valhalla but soon his homeless friends, Blitz and Hearth get him out and back to the real world. They begin there run to find the Sword of Summer and run into many friends and foes, Magnus soon comes to know that he is the son of Frey, the God of fertility well-being and more less, the middle ground. Now Magnus must take up that role and set the nine worlds in balance. This book intwines the very good character building with many witty but story moving moments. The book is never slow as Riordan is able to keep us rolling as he did in the, Percy Jackson and Heroes of Olympus series'. This book is one for all ages and groups as each character is different and gives you something to relate to. If I had to pick a group to recommend this to it would for those fantasy readers. 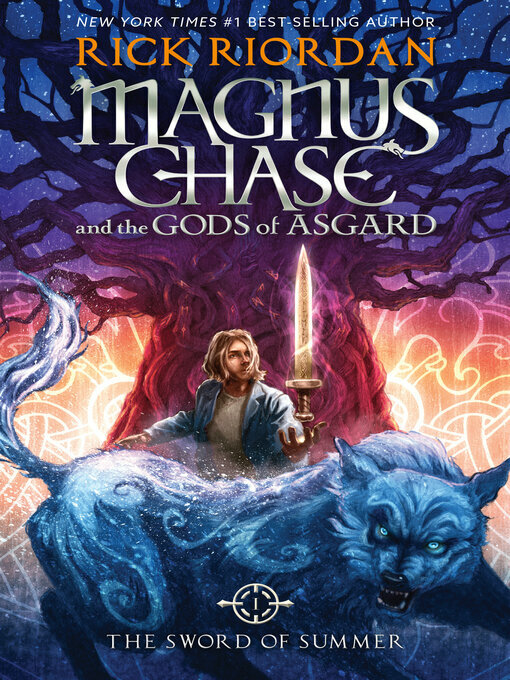 Ten years after The Lightning Thief, which chronicled modern-day Greek god shenanigans on Earth, Riordan enters a new pantheon with a similar setup: on his 16th birthday, Magnus Chase learns that he is a demigod, human son of a Norse god. Talk about an upgrade—Chase had been homeless in Boston since his mother’s death (by wolf attack) two years earlier. Chase’s story opens with his death on the day he comes of age, when he finds his father’s powerful sword and defends Boston against a fire giant. For dying a hero, he earns afterlife at the Hotel Valhalla (so large it has its own Ikea), but Chase has scores to settle and must prevent Ragnarok itself, a mission that involves perilous encounters, loads of gore, and snarky one-liners. Riordan plays much of the material for laughs (one battle weapon is a stolen sign that reads “Make Way for Ducklings”) and brings the Norse gods into the 21st century (Thor streams TV shows on his hammer). The sensibility is right in line with the Percy Jackson novels, and the audience will be just as large. Ages 10–14. Agent: Nancy Gallt, Nancy Gallt Literary Agency.